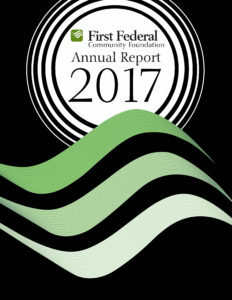 At its annual meeting held on July 25, 2016, First Federal Community Foundation elected Craig A. Curtis to a two-year term on the local nonprofit’s board of directors. The Foundation also expressed gratitude to outgoing director Stephen Oliver, who has served on the foundation’s board of directors since its inception. Curtis is a registered architect and Principal at The Miller Hull Partnership, where he has been employed since 1987. He is also President of Katerra Architecture, LLC, a real estate design, manufacturing and construction company with a vision to make leading-edge buildings affordable and accessible to everyone in the world. Curtis has degrees in Architecture and Construction Management from Washington State University and chairs the External Advisory Board for the WSU Center for Environmental Research and Educational Outreach. A resident of Kitsap County for 26 years, Curtis has served on committees for the North Kitsap School District and the Suquamish Community Advisory Board. He has served on the board of directors of First Federal Bank since 2014. Other Foundation directors include David Flodstrom, Chairman, and Karen McCormick, who is also the organization’s executive director. Foundation officers elected at the July 25th annual meeting are Joyce Ruiz, Secretary, and Regina Wood, Treasurer. First Federal President Larry Hueth is the foundation’s Registered Agent.